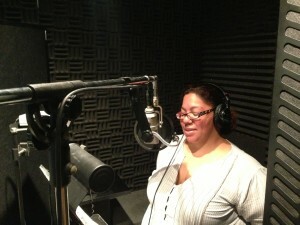 Licensed Practical Nurse Anna Perez Records Radio Ad for Top NY Spanish Stations! As healthcare workers, we dedicate our lives to providing quality care to our patients in hospitals, nursing homes, pharmacies and clinics. But now, CEOs are threatening the quality of healthcare services and jobs for New Yorkers. Instead of threatening care and jobs, executives should work with caregivers to promote the health of patients, workers, families and communities. The five largest health systems are doing well financially, with over $20 billion revenue in 2013. CEO pay at the 5 largest healthcare systems in New York has skyrocketed by 420% since 2004, and they are now each making millions of dollars every year. For the past few weeks, 1199SEIU has been taking over the radio airwaves to educate our patients and the public about how CEOs are threatening the quality of care and jobs for New Yorkers. Now, 1199 member Anna Perez, a Licensed Practical Nurse at Carmel Richmond nursing home on Staten Island, has recorded a Spanish version of our radio ad which will launch on the top Spanish language stations later this week. Brought to you by the nurses and caregivers of 1199SEIU – © 2019 We Care for New York.